I've become addicted to audiobooks over the past year or two. I have to give a shoutout to HotListens for convincing me to give audiobooks another try after I had a rough start with one. I <3 yall! I figured I'd kick off the A to Z challenge with an audiobook I recently finished and really enjoyed. I got into this series via paperback but finished it up with the audio version. The narrator is freaking awesome, and I highly suggest this series in audio if you haven't read it yet. Outtakes from the Grave is book 7.5 in the Night Huntress series. It's full of cut/deleted scenes from all of the books in the series. I was a bit hesitant to grab this one since it's been awhile since I started the series, but I'm so glad I did! There's a bit of everything in this compilation, Bones' POV, cut bits from first chapters and several naughty scenes that didn't make the cut to name a few. I loved that there were author notes before each new scene, it gave some insight on why they weren't included in the published versions. 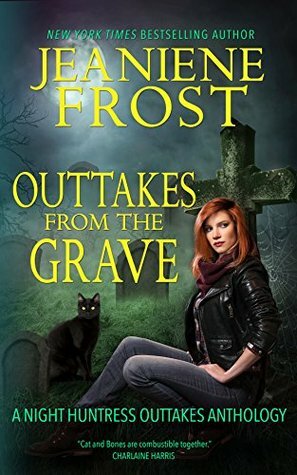 Outtakes from the Grave wasn't exactly a light read, I felt like I was on an emotional rollercoaster. I went from sad to laughing out loud depending on the scene. I'm glad some of these were cut since it could have taken the series in a different direction or delayed what we all wanted, more Cat and Bones. All in all, this was an awesome addition to the series, and I highly suggest it if you've enjoyed the series as a whole. I quickly fell in love with Tavia Gilbert's narration while finishing up the Night Huntress series and Vlad's series and this book is no different. She's always expressive and knocks whatever she's narrating out of the park. 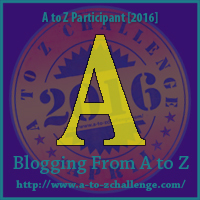 During the A to Z challenge, I will have a giveaway going where you can win a $20 Amazon gift card! I still love paperbacks :D Audiobooks are awesome for my drive to/from work though!! I think you'll enjoy the cut scenes, but you can tell why they were cut in quite a few of them. 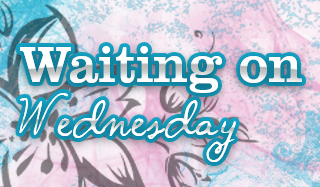 She explains it as the publisher concerned about pacing in the book, but if they had remained in I think it could have taken the series a bit different direction or made what we already know delayed. I think you'll like it though! Visiting on day 1 of the #Challenge. This is what I love about it....visiting new sites like yours. Come and see me if you have time. I do try audio...sometimes, but they just take so long! They really can! I love doing them during my drive when I'd usually listen to music. Oh I do love Frost's books. I'll have to check out the narrator. That's what's keeping me sane while I exercise these days. Thanks!! Feel free to take the idea ;) hehe I'm wondering if I should add it to the end of each post. Probably will. I love audio books, especially when the narrator is awesome! Same here!! Need to check out more of her audios! I did love this one! Tavia Gilbert's interpretation of Bones was a tad off from where it was in the other audiobooks, and that threw me off a bit, but overall I really liked it! I noticed that as well and thought it was a bit odd. Glad I wasn't going crazy lol! I need to find me a buddy to read this series. I already found one for KDaniels, this is next on my hit list. I just saw that you reviewed this one on your most recent post and had to check it out as I'm such a big fan of the series. I haven't actually heard of Outtakes and now I'm really excited! I watch deleted scenes on my blu-rays all the time, but you are absolutely right - if they were included likely they change the whole feel of what was given to us instead. Thanks so much for sharing!